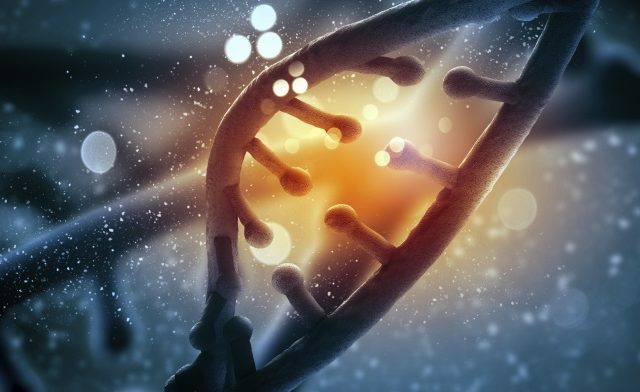 (HealthDay News) — The BRCA1 gene mutation may also be tied to potential fertility issues, according to a report published in Human Reproduction. Kelly-Anne Phillips, MD, a consultant medical oncologist at the Peter MacCallum Cancer Center in East Melbourne, Australia, and colleagues measured anti-Müllerian hormone (AMH) levels from 693 women who had no history of cancer and were enrolled in a breast cancer study based in New Zealand and Australia between 1997 and 2012. The women were aged 25 to 45 years. “The DNA repair enzymes encoded by BRCA1 and BRCA2 are implicated in reproductive aging. Circulating AMH is a biomarker of ovarian reserve and hence reproductive lifespan,” the researchers wrote. The researchers discovered that the BRCA1 gene mutation was tied to a 25% lower level of AMH. This effect was not seen, however, in women with the BRCA2 mutation. Dr Phillips told HealthDay it is possible that the BRCA1 mutation may affect DNA repair. Inefficient DNA repair has been shown to contribute to the aging of a woman’s eggs, she explained. Phillips KA, Collins IM, Milne RL, et al; for the Kathleen Cuningham Consortium for Research into Familial Breast Cancer (kConFab). Hum Reprod. 2016. doi:10.1093/humrep/dew044.